This wall display at Twenty Stories in Hope Artiste Village beckons bibliophiles to belly up to a different than perhaps their usual type of bar. 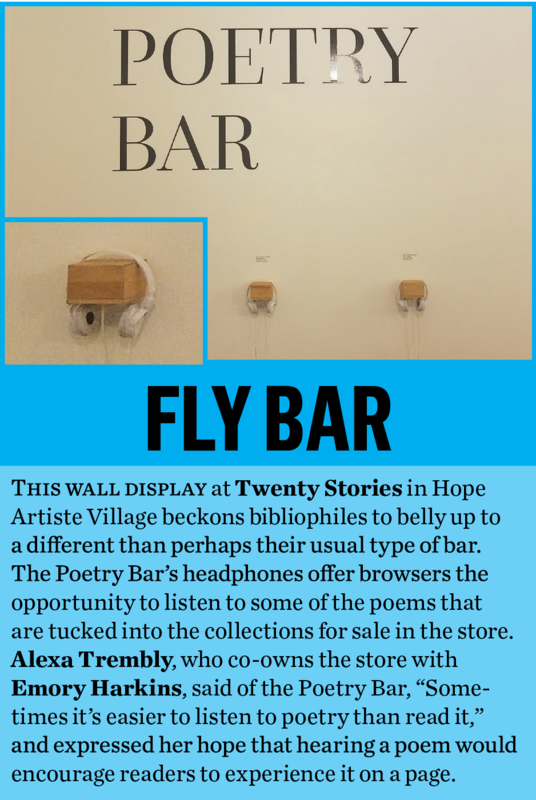 The Poetry Bar’s headphones offer browsers the opportunity to listen to some of the poems that are tucked into the collections for sale in the store. 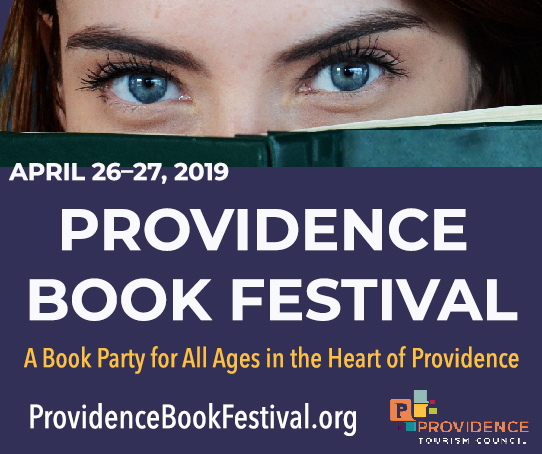 Alexa Trembly, who co-owns the store with Emory Harkins, said of the Poetry Bar, “Sometimes it’s easier to listen to poetry than read it,” and expressed her hope that hearing a poem would encourage readers to go experience it on a page.